Value added tax identification number: EE100330133. 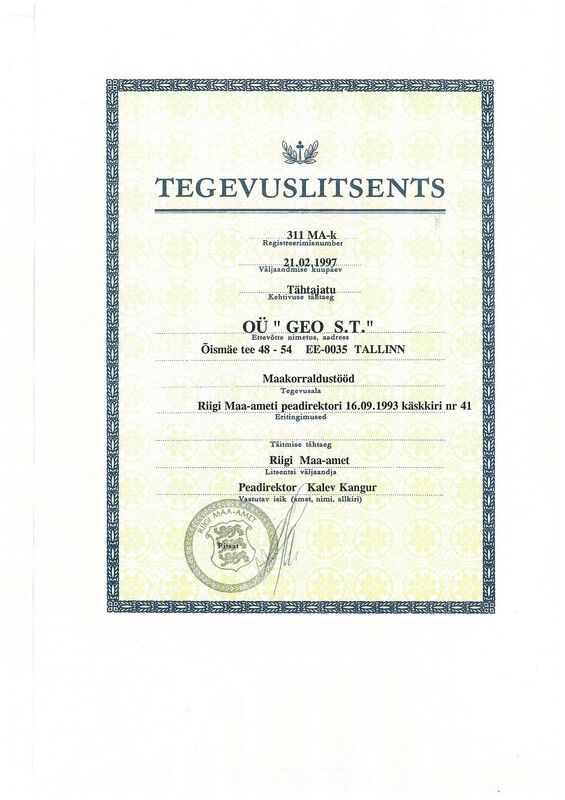 Founded on 20 December 1996, OÜ Geo S.T. is a privately held Estonian company operating successfully as a provider of geodetic surveys. As a result of continuous investment, the equipment base of the company consists of modern equipment. Its staff consists of professionals with the international experience and knowledge to be able to work with a variety of state-of-the-art measuring instruments and methodologies. The company is registered in the Register of Economic Activities for site investigations, registration number EG10194979-0001. The company has professional civil liability insurance, ‘general liability insurance’. OÜ Geo S.T. 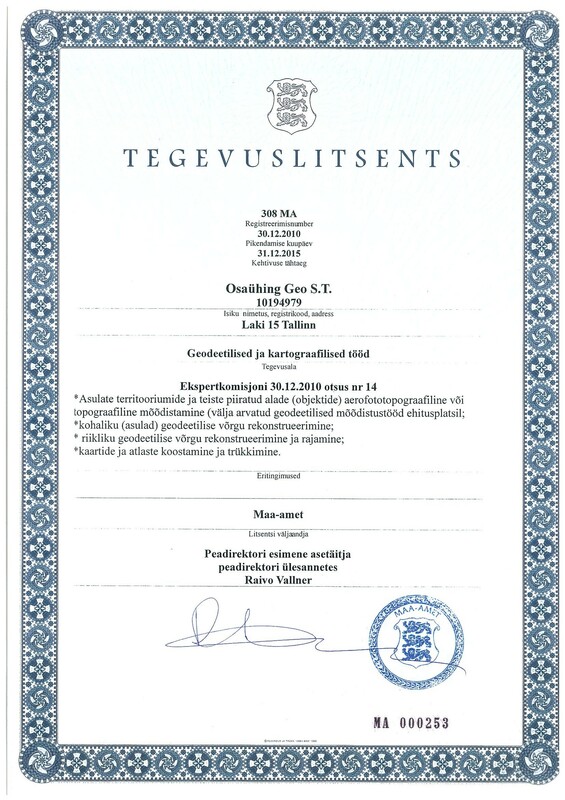 is a member of the national chapter of the global business organisation ICC WBO, ICC Estonia, and a member of the Estonian Chamber of Commerce and Industry; employees of the company are members of the Association of Estonian Surveyors; and the trademark of the company is registered in the state register of trade and service marks of the Estonian Patent Office. The current team is able to complete projects carried out even under the most challenging and difficult conditions. Geo S.T. OÜ’s quality management system meets the requirements of the ISO 9001:2015 quality standard. In confirmation, Lloyd Register Quality Assurance has issued our company with a quality certificate. The quality certificate proves that Geo S.T. has a systematic quality management system that enables a better understanding of the internal processes implemented by the client and that meets the client’s expectations. Scope of application for Geo S.T. 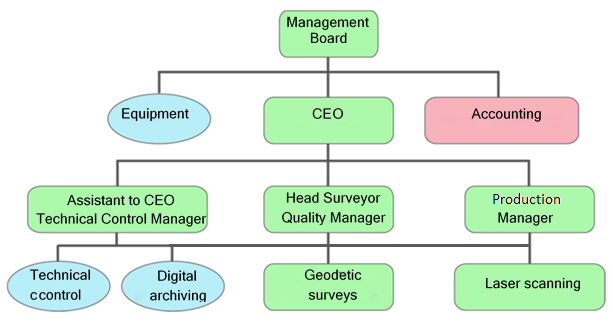 OÜ’s quality management system: geodetic surveys, 3-D laser scanning, cadastral surveying and consultations on the above subjects.